The World Cries with Connecticut - Who Was the Killer’s Doctor & What Drugs Was He Taking? Who Was the Killer’s Doctor & What Drugs Was He Taking? 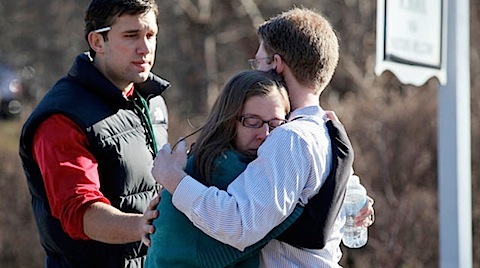 The peace and security of the suburban Connecticut community of Newtown was shattered on Friday after a gunman attacked a primary school in one of the worst mass shootings in U.S. history. Tragedy strikes again most viciously and we are wounded to the core as a race of beings that is losing its way after making so many mistakes and doing so many stupid things, pretending all the while that we are an intelligently evolved race. Friday’s shooting came only three days after masked gunman Jacob Roberts opened fire in a busy Oregon mall, killing two before turning the gun on himself. Surrounded by increasing violence of the most senseless kind, our future is increasingly brought into question. A tearful President Obama said, “There’s not a parent in America who doesn’t feel the overwhelming grief that I do.” The president had to pause to compose himself after saying these were “beautiful little kids between the ages of 5 and 10.” As he continued with his statement, Obama wiped away a tear from each eye. 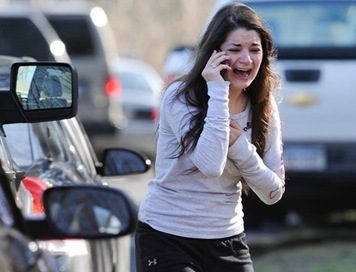 “Our hearts are broken today,” Obama said. That night I think for the first time in my life I cried myself to sleep thinking about the suffering that many parents and children are experiencing now and will probably have to deal with for the rest of their lives. I was praying with all my soul seeking some way, some miracle to soften some of that suffering. After the deadly rampage, psychologists and pediatricians are strongly urging parents to shield their school-age children from too much exposure to the news. But what they are not warning parents against are the drugs that psychiatrists will recommend that might have caused the killings in the first place. We are being told very little or perhaps law enforcement in the United States cannot do what hackers, when breaking into ones online identity, are supposed to be able to do in a few moments. Is it Pharmaceutical Drugs at Work Again? psychiatric drugs such as antidepressants. Research shows long-term exposure to psychiatric drugs has proven to be far more dangerous than originally anticipated, and includes the threat of medication-induced obesity, diabetes, heart disease, irreversible abnormal movements, emotional and cognitive disability, and an overall deterioration in the patient’s clinical condition and quality of life. to resolve a federal investigation into the company’s marketing practices. The Department of Justice has now enforced a total of $8.9 billion in criminal and civil fines against GlaxoSmithKline, Pfizer, Eli Lilly, and Johnson & Johnson. They are criminals representing criminal intentions to deliberately harm people with their pharmaceutical poisons, which is exactly what most if not all drugs are that are prescribed by clinical psychologists and psychiatrists do. Health Canada approved a new warning label for Paxil that read, in part: “A small number of patients taking drugs of this type may feel worse instead of better. For example, they may experience unusual feelings of agitation, hostility or anxiety, or have impulsive or disturbing thoughts, such as thoughts of self-harm or harm to others. As the world joined Americans in mourning the school massacre in Connecticut, many urged U.S. politicians to honor the 28 victims, especially the children, by pushing for stronger gun control laws. If they were honest they would be urging the US government to finally put a stop to the criminal and vicious attack on children by Big Pharma. We have made a culture of abusing children through drugs, letting them eat junk foods and drink Coke and Pepsi, mercury in vaccines and dental amalgam, etc. The children who escape sexual abuse (about 70%) find abuse at other people’s hands and that list starts with pediatricians who not only stab them obsessively with dangerous vaccines but also overdose them with antibiotics that compromise their health. 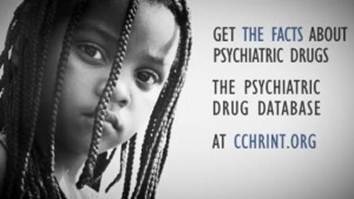 Then the psychiatrists and psychologists who prescribe brutal drugs get into the act when the children do not do well. bring some sense and meaning into these meaningless killings. 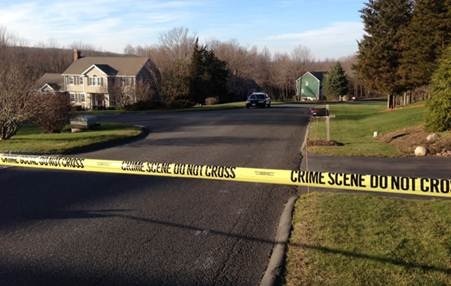 The neighborhood where gunman Adam Lanza lived. Besides finding out what drugs this kid was on it would be valuable to know the kind of training he had in those weapons. Who was this kid? Who are his mother and father really and where did they get the money to live in the wealthiest area of America? Who were his doctors and/or psychiatrists? So far we have another mystery kid doing a senseless terrible thing but the senselessness seems to build up around a lack of information. The only motive that I can think of for such a hideous crime is a special kind of insanity that is provoked by pharmaceuticals. Special Note: Yesterday and today it has been hard to get away from this event. In a few days I will publish part two, which will deal directly with the catastrophic suffering many parents are suffering with parents around the world feeling for the safety of their children in public schools. I will deal with what should be the appropriate medical response to such suffering. And that is certainly not dangerous pharmaceuticals! I got into thinking of sending someone to Connecticut with an arsenal of all-natural agents that would help to soothe and calm people and slow their breathing down. I saw myself or someone standing in for me on the corner with 50 breathing devices handing them out. Cannabidiol (CBD) would probably stand up as the best natural pain reliever and when used with magnesium chloride would probably help anyone having difficulty with sleep. I did manage to talk to the people in Colorado who have perfected Cannabidiol as a concentrated medicinal equaling the effect of pharmaceutical pain relievers and anyone from Connecticut who mentions this essay on their phone lines or my name when ordering online will receive a courtesy discount in the same spirit that many local businesses are extending their help to the afflicted. Listed below are links to blogs that reference this entry: The World Cries with Connecticut - Who Was the Killer’s Doctor & What Drugs Was He Taking?. This page contains a single entry by Toni published on December 17, 2012 12:07 PM. Roundup Herbicide Linked To Overgrowth of Deadly Bacteria was the previous entry in this blog. The Untold Story of Psychotropic Drugging is the next entry in this blog.